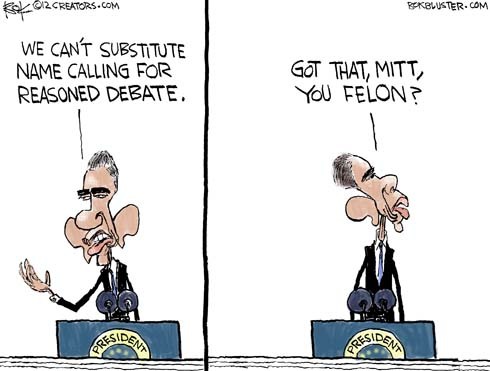 President Obama’s re-election campaign didn’t defend his first term economic record. 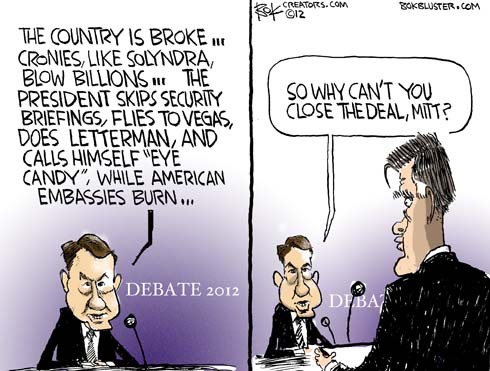 It called Romney names, like bullshitter, felon, wife killer, and tax deadbeat. It turns out Big Bird is a Fat Cat. 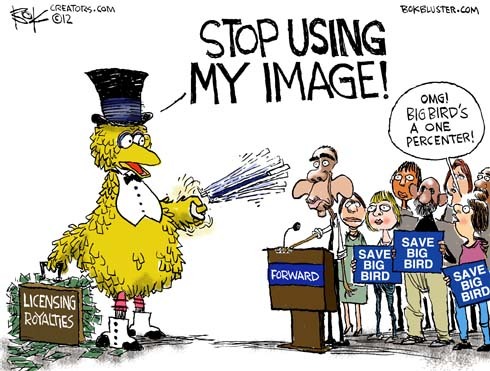 Sesame Street has asked the Obama campaign to pull down an ad giving the Bird to Romney. 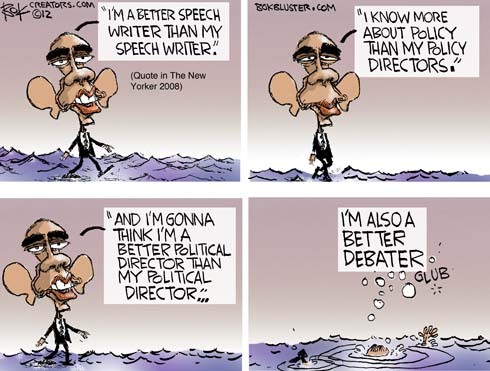 The president seemed to feel that debating was beneath him on Wednesday night. I guess it was. The quote from above was related to Ryan Lizza by Patrick Gaspard in this New Yorker piece. You’ll have to read more than half the article to get to it. If you’re like me, you’d rather not, so go here to see it on Politico along with nine other of the president’s humble pronouncements. 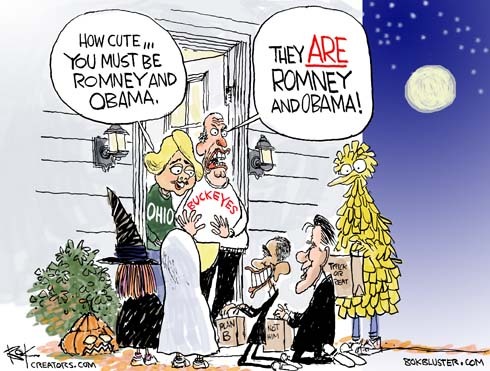 Going into tonight’s debate, Obama is mired in troubles (I couldn’t cram in Fast and Furious, Afghan police killing American troops, or the coverup of the Benghazi attacks ), yet he leads in the polls, and Republicans are hammering Romney! If you’ve got half an hour to blow, here’s an entertaining and angry speech by Pat Caddell, former pollster for Jimmy Carter.